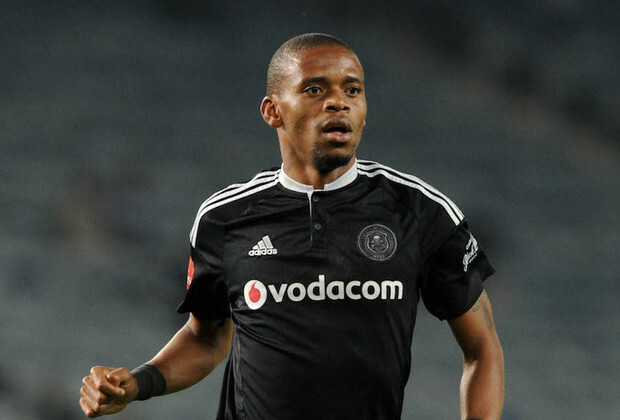 The change in personnel in the centre of defence came as a surprise for many of those who support the Buccaneers, after the likes of Happy Jele, Ayanda Gcaba, Edwin Gyimah, Abbubaker Mobara and Justice Chabalala were used at different times last season. The Pirates defence has improved immensely this season and key to that has been how Nyauza and Shitolo quickly clicked as a pair. They have played 10 matches together at the back in the Absa Premiership, keeping five clean sheets, including the one in Pirates’ 2-0 win over Platinum Stars at Royal Bafokeng Stadium on Saturday. “In the first game I played with him at Orlando Stadium against Chippa United, I saw that we have a good relationship,” Nyauza tells KickOff.com. Pirates have conceded 14 goals in 18 matches this season. Only Kaizer Chiefs, Maritzburg United and Chippa United have conceded less than the Buccaneers so far this season. Pirates’ victory over Dikwena, meanwhile, was secured by goals from Justin Shonga and Thembinkosi Lorch. The victory moved the Buccaneers up to third place on the standings, just five points behind leaders Mamelodi Sundowns, who played to a goalless draw with fourth-placed Kaizer Chiefs at FNB Stadium on Saturday. Unbeaten in 2018 after registering three wins and a draw, the Buccaneers are looking good and will start believing they can challenge for the league title.